Companies save $20k on average by investing more in inbound than traditional marketing. 93% of companies using inbound marketing increase lead generation. Inbound campaigns achieve higher ROI than outbound. So we've established inbound marketing services are a worthwhile investment compared to outbound. But what goes into the cost? 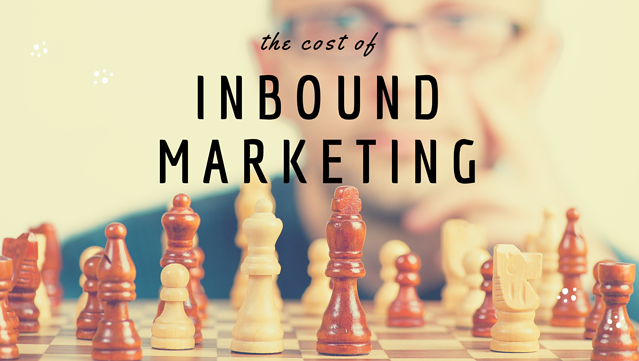 Compared to the cost of SEO, inbound marketing costs are complicated. There are way more factors that go into inbound marketing. In fact, SEO is one of the factors of inbound, so calculating the cost of inbound marketing is like putting together a what-does-THIS-cost puzzle. In fact, let's start with identifying all the little pieces of inbound. If you're unfamiliar with a word or two, here's a helpful inbound marketing dictionary. Buyer Personas. At the very, very beginning of every inbound marketing campaign's life, when it is still but an egg waiting to hatch, buyer personas must be identified. Buyer personas are incredibly powerful marketing tools, and they lay the foundation for everything you do going forward. Very simply, they're an archetype of your best buyers. You take traits, characteristics, demographics, behaviors, interests, frustrations, goals, and more from all of your best buyers and combine them into one targeted persona. Every piece of content that you produce from then on will be written for that persona, in that persona's voice, to help solve that persona's problems. Buyer's Journey. Every persona has a journey! The buyer's journey refers to the purchasing process, from awareness of a problem all the way to making a purchase. It's important to produce content aimed at each stage of the journey to get in front of prospects before they reach the final stages of their buying process - according to Marketbridge, 76% of B2B buyers prefer to receive content unique to their buying stage. The buyer's journey should be outlined before content creation. Content Mapping. Content ideas should be mapped to the buyer's journey. Brainstorming eBook ideas, blog post titles, webinars, etc. - all should correspond with a stage in the journey. Mapping content also involves doing a content audit and building a content calendar for at least the next few months. Keyword Research. SEO is a large part of inbound marketing, and it requires extensive keyword research. Keywords are the specific words and phrases that buyers type into Google. By using them strategically in your content, you increase the odds that someone will find you in search. Demand Gen. What are the best ways to build awareness for your business/product? Where are the online places you can go, who are the people you can connect with to spread the word? Conversion. Conversion happens when a prospect exchanges their email address for an offer from you. What would make your buyer personas most likely to give you their contact information? Goals & KPIs. What are your marketing goals for your business? How many sales, leads, or conversions do you need per month to reach your revenue goals? Which key performance indicators will be most helpful in keeping track of your goals? SEO and PPC are huge. SEO will continuously bring traffic to your site, and PPC can quickly build awareness as a short-term tactic (or long-term, if you have the budget). The costs of SEO (service) and PPC (service + ad costs) must be included in the final price of inbound marketing. Copywriting will take the most time in the whole inbound marketing process. Content needs to be created/optimized on your entire website - you may have to start from scratch if you're adding pages or redoing the site. Once the site has its semi-permanent copy, your blog needs to be populated with information and updated weekly (more or less, depending on how aggressively you want to build up your content base). Beyond weekly blog posts, a new premium content offer should be released every few months. This offer will be well-researched, in-depth, and very high-value. Ebooks and webinars are common examples of premium content. The more content you produce, the more likely a prospect is to find you (and be impressed by your knowledge). The cost of content writing depends on whether you will be writing, or if you prefer to outsource it to a freelancer or your inbound marketing agency. Social media isn't just for teenagers. Plenty of B2B buyers are active on Facebook, LinkedIn, etc. for business. Social media is a wonderful way to share your successes, network with industry professionals, find potential employees, and build brand awareness. 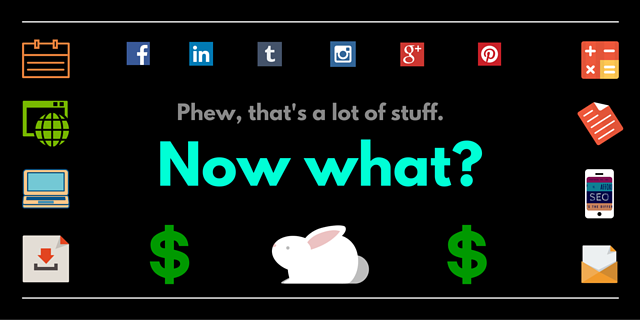 Although most social networks are free to use, social media marketing is not. At any one time, you will be running multiple campaigns. 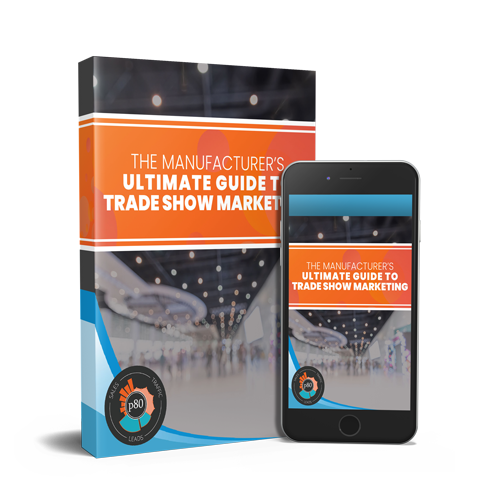 Each of our eBooks here at p80 has its own campaign with blog posts, social media promotion, CTAs, landing pages, and email marketing attached. Special projects, such as seasonal offerings or new product promotion, will also require a full arsenal of inbound marketing support if you want to spread the word as far as possible. Generally, our clients don't come to us feeling good about their websites. They want either a full overhaul and new website, or at least some additional pages and optimization. Web design is its own beast within inbound marketing, and will depend on how many changes you're making and how much customization you want. Beyond the basic website, graphic design is required for CTAs, content offers, landing pages, and other additions to the site. Email is not dead, in fact, it is essential to any healthy inbound marketing campaign. Email lets you follow up with prospects, stay ahead of them, and keep them up to date with your business. Email marketing requires a marketing automation platform (we use and love Mailchimp). This will let you smoothly transition into lead nurturing. To get your inbound marketing campaigns running smoothly, you'll need to integrate your current site, your CRM, and your CMS to track and manage visitors, conversions, leads, and sales. If you're missing one or more of these things, you'll need to get it set it up (and sometimes purchase software). Those are the major components of inbound marketing. You can reasonably expect to have access to all of these services if you hire out inbound marketing services. What else contributes to the cost of inbound marketing? Are you gonna keep this in the family or hire out? Maybe both? Truth is, the less you outsource, the less you pay for. The more you can learn to do yourself (or delegate to one of your minions), the cheaper inbound marketing will be. Full Service or Spot Cleaning? Most inbound marketing agencies work on a retainer. You pay them month to month and they work year round to keep your marketing optimized with everything listed above. For many small businesses, a monthly retainer fee is overwhelming. Most inbound agencies will also do smaller projects (such as a one-time premium offer campaign) or just a few things on the big list. Inbound marketing doesn't have to be all or nothing, though it works best when you've got all the gears running. Inbound marketing takes time, and realistically, your agency will have other clients to serve as well. If you want your agency to focus on your business and spend most of their working hours on your projects, it will cost more. If you don't mind waiting a little longer, it will be much more affordable. Realistically, if your company is raking in $100 million a year in revenue, you can afford to spend more on marketing than a $5 million-a-year company. According to the U.S. Small Business Administration, as a general rule, small businesses with revenues less than $5 million should allocate 7-8 percent of their revenues to marketing. What you should NOT do is take what's left over after budgeting for everything else and assign that to your marketing efforts. Marketing is undeniably an important part of any business's operations, no matter what voodoo connotations it holds. Smaller inbound marketing agencies will cost less to hire. Similarly, rural inbound marketing agencies are also likely to be more affordable. If you're hiring a company based in NYC who does work for Fortune 500s, you'll be paying for the name and prestige as much as the services themselves. That said, there is an element of you get what you pay for in inbound marketing. Whatever choice you make, do your research and make sure you're not getting scammed. How much revenue will one customer bring in over their lifetime? For many of our contract manufacturing clients, bringing in one new customer a year is just dandy, since each contract can be worth millions. So, they see a greater ROI per customer and don't feel the need to market as aggressively as some other industries. If you're technologically challenged, you will probably need training to handle the components of inbound. Most inbound agencies offer trainings, workshops, and other guidance to get you on your feet. The more training your company needs, the more it will add to the final cost. None of this means jack if you don't feel like paying for it! Ultimately, how much you spend on inbound marketing is up to you. If you believe your business can benefit from aggressive inbound marketing, you might consider paying more to see quicker, bigger results. If you don't want to spend a bunch of money, you don't have to! Although you're less likely to see good results in a reasonable time frame, something is better than nothing at all. 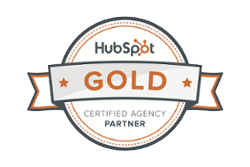 We'll happily answer any questions you have about inbound marketing. There are also plenty of online resources that can teach you about the world of inbound. Once you learn more, you'll realize it's less of a marketing trick and more of a philosophy.